Bosch Engineering has realised a strategy to support RDE Engineering in an efficient way using an engine-in-the-loop (EiL) engine test-bench. This strategy realises a RDE front-loading by system performances measures in an early phase of a project. The project duration can be significantly reduced and the usage of the prototype vehicles can be minimised by up to 85 %. The new Real Driving Emissions (RDE) legislation and its emissions test on real roads leads to a change regarding measurement and analysis of vehicle emissions. 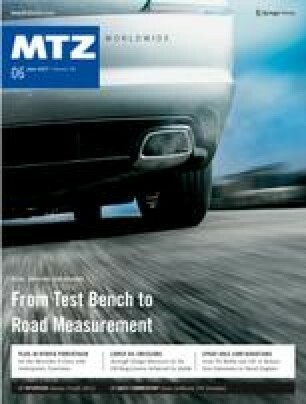 Unlike previous vehicle emission tests, parameters such as engine load and vehicle speed are no longer defined with RDE by a fixed pattern, but are largely determined by the traffic situation, driver behaviour and the course of the route. The authors would like to thank Dr. S. Tafel, T. Lehmann, D. Naber, H. Hartlief for their assistance as well as C. Fischer, Dr. B. Hartmann, M. Off and K. Baecke for their support.